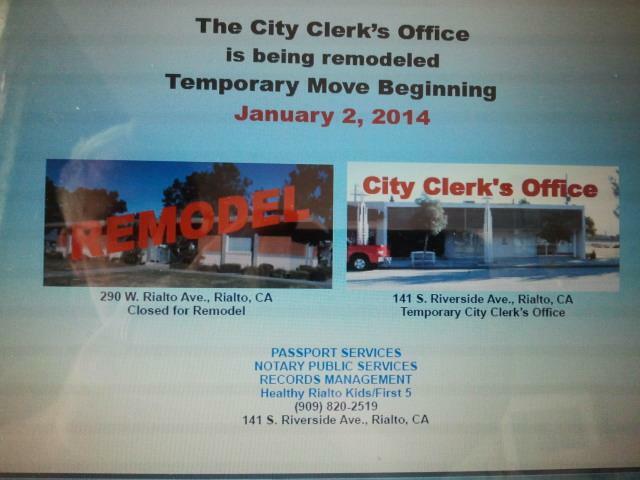 Looks like the city clerks office is undergoing a remodel project. The old building is in need of remodel but what is our $203, 710 getting us? In the mean time the City Clerks Office will be relocated to 114 S Riverside Ave.
Below was taken from the last city council meeting of 2013. $20,715 for Construction Administration and Support Services.